December Camp ended on the 3rd, and it was a camp well done! 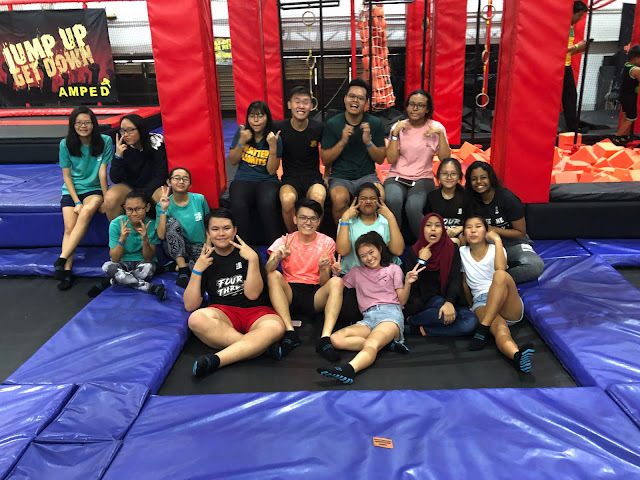 So kudos to our camp organisers - Maxz, Momo and Thivya, and camp advisor - Natasha, for all their hard work and effort put into making this camp a success. 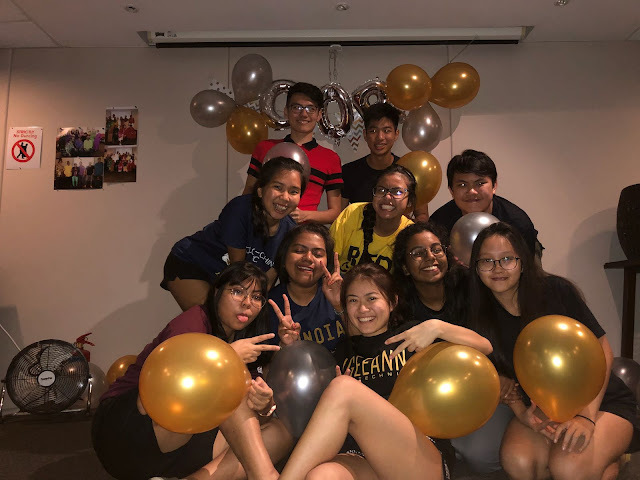 So without further ado, let's here from Thivya to see what she have to say about her first experience as a camp organiser! 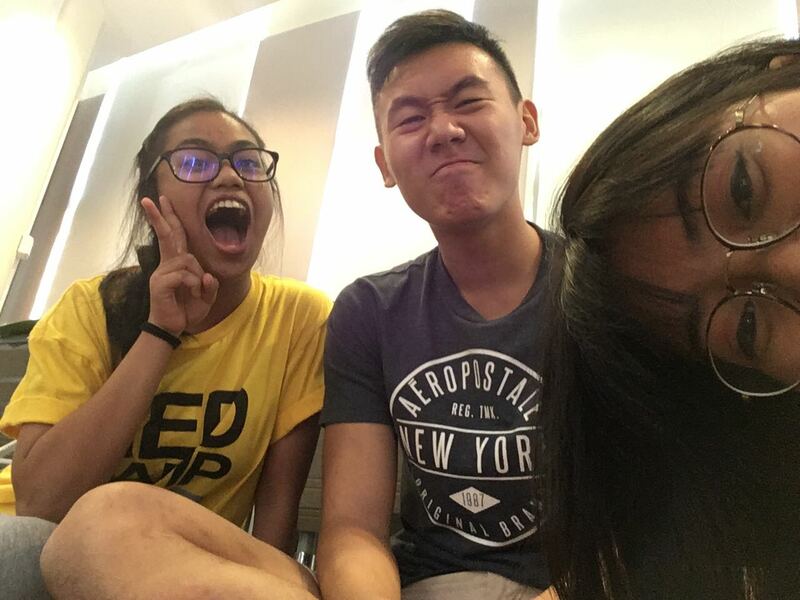 "When I was tasked to be the camp organiser, I was very nervous as it would be my first time doing so. 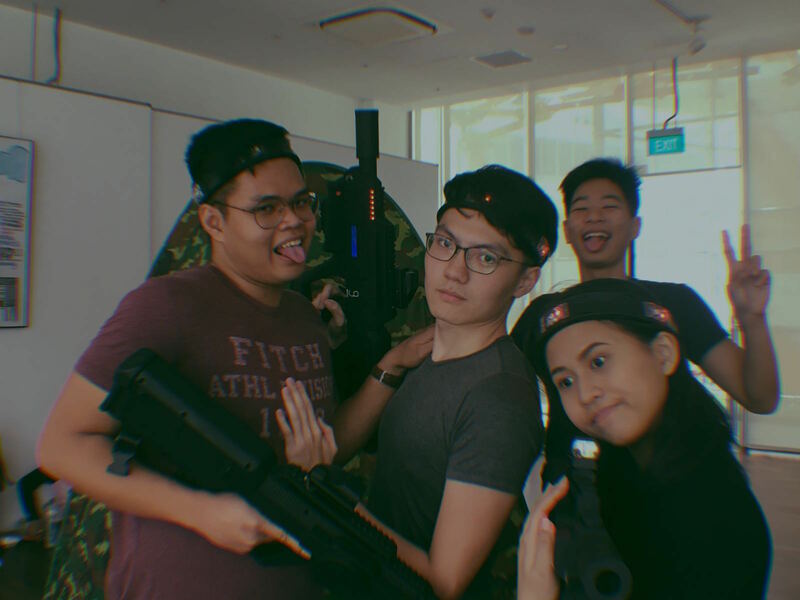 Moreover, I knew that we would not have a lot of time to prepare as Momo and I were taking our 'O' levels, while Maxz was taking his 'A' levels. Nonetheless, the thought of organising a camp that would allow our volunteers to bond and have fun excites me even during this intense period. 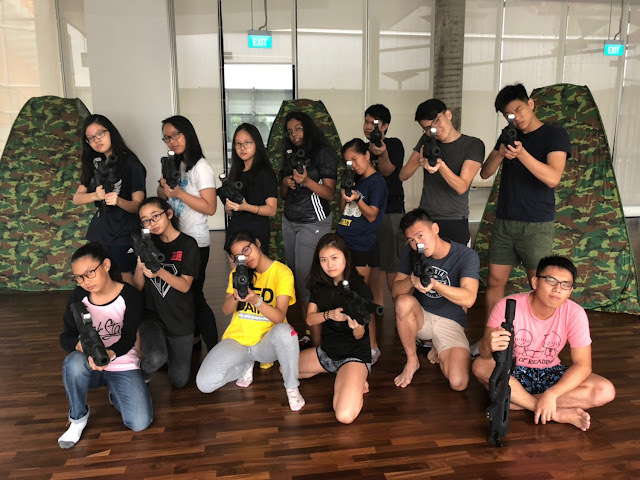 The lead up to camp became very stressful as I was nervous about how the participants would feel about all the activities and workshops that was planned for them. Yet, I am really thankful for my fellow camp organisers, who reassured me and told me to trust that we had it planned properly. The experience of being a camp organiser made me realized the importance of support, by having one another's back, and the importance of time management, to ensure the flow of the camp. 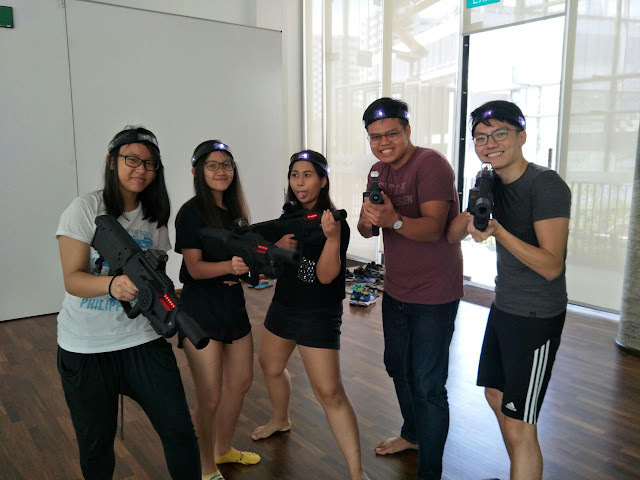 All in all, I felt that this camp was an eye opening experience for me since I also learnt to work with people that I may not be familiar with. I hope that through this camp, our older volunteers were better able to bond with our newer volunteers, and that their passion for Gift has been reignited. As for the newer volunteers, I hope that they found their sense of belonging in the Gift family." 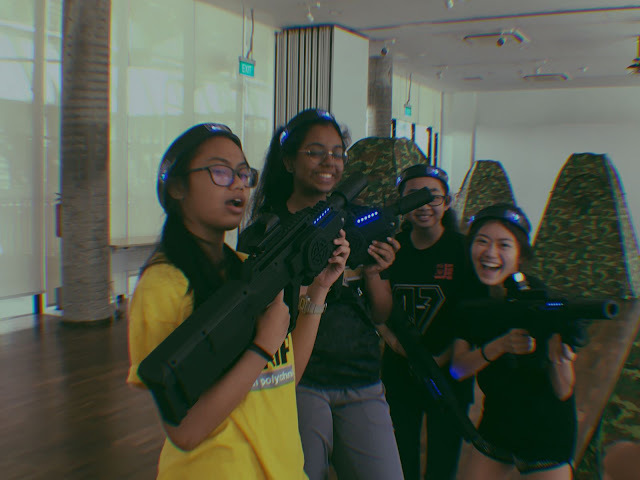 Speaking of the participants, let's hear from Syahidah and Kah Xuan to see if they enjoyed the camp just as much as we did! "Even though I attended camp only on day 1, I had lots of fun reuniting with the Gifters once again! We started of the camp by playing simple games before starting serious work, and were tasked to plan trainings for the new volunteers who are coming for sessions. We decided that the main objective will be to give tips and advice in order to boost their confidence in reading, leading and dramatisation skills. 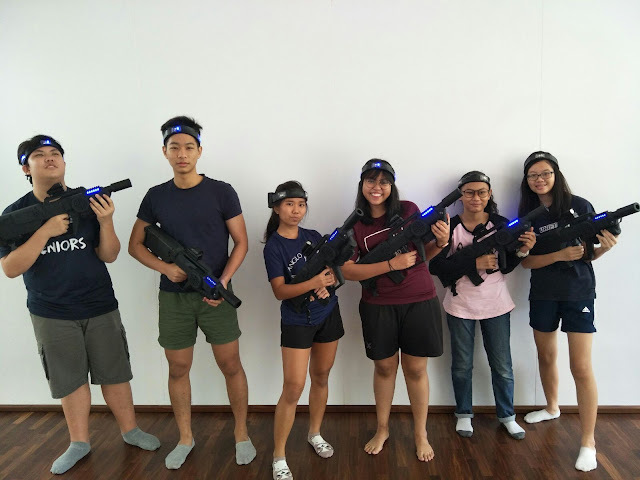 As for day 2, I heard from the rest that they had a game of laser tag conducted by an external vendor and they had a blast! The training was conducted after the game session and I was glad that they took the session seriously and were eager to learn from their experienced mentors. 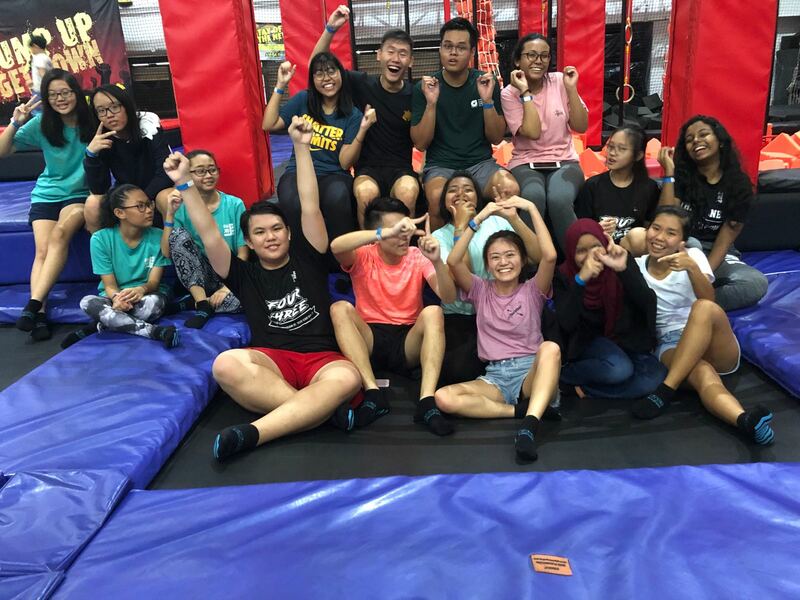 Finally on day 3, they went to trampoline park and played with their hearts out. In the next semester, I hope that I will be able to come for sessions more regularly as compared to this year. To the new volunteers, it is okay to make mistakes, as long as we learn from them." "Gift of reading December Camp 2017 ended and I am losing count on the camps I’ve been to. Yet, however numerous camps there are, each camp remains unique and this year’s was no different. Having been in NS (National Service) for the past 2 years meant lesser time with Gift and missing December camp 2016. Coming back after this hiatus, I saw many familiar faces and to my delight, some fresh ones too. Of course, it is particularly comforting to see some of the new volunteers in my memory maturing and stepping up to greater responsibilities while reminding me how quickly time is passing, and the urgent need for successions amongst the volunteers. One of the key focus for this year’s camp was to better prepare our new volunteers for the semester ahead. Unlike the past camps which often invited external trainers, this time, we had our older volunteers to conduct the workshop. In my opinion, with our own volunteers as trainers, the trainings may prove to be more targeted. 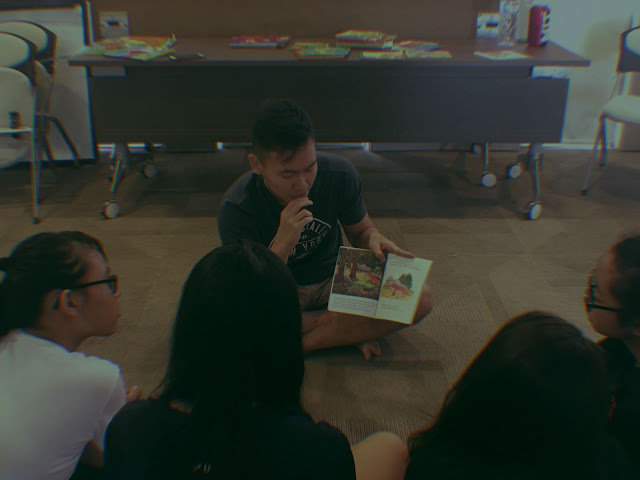 I was involved in the ‘reading’ part of the workshop in which I had to read to the new volunteers while they listened from the perspective of a child. Having been away for a while, telling a story seemed a bit foreign at first, but as I proceeded, it soon became natural to me. Perhaps telling a story is very much like cycling or swimming, you may lose touch but you can never forget. Finally, as we conclude December Camp 2017, a new semester awaits and I hope to see many more new volunteers that are here to stay. To the new volunteers: Find your motivation to come for sessions; Be more than a participant – take ownership of the programme; Find joy in whatever you do here." Wow, that was two inspiring articles by Syahidah and Kah Xuan, and they too, did seem like they enjoyed the camp! Yet, unlike Kah Xuan who have already lost count of the number of camps that he had attended, let's hear from Sofea, who will be sharing about her first ever Gift camp experience! 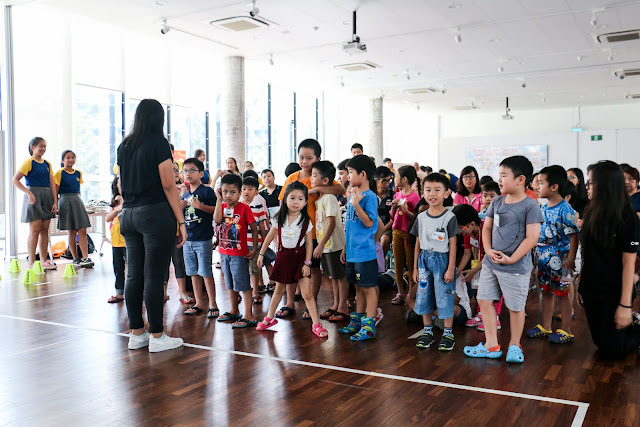 "This is my first Gift camp and I think what differs this camp from the other camps that I have attended is that all the volunteers here were very welcoming. Not only that, they are also very nice and helpful which made the camp more enjoyable. The most memorable moment from the camp would be during the laser tag. 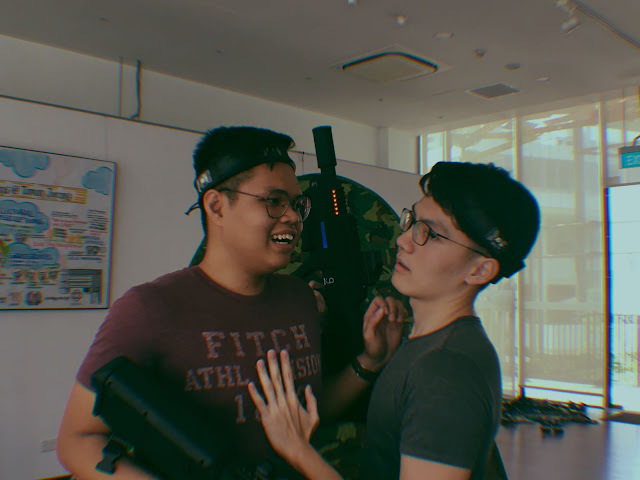 Although it was the first activity of the camp, when I was still awkward with the other volunteers, this activity really helped mitigate this awkwardness as I have to communicate and interact with everyone. I have definitely benefitted a lot from this camp. One of which would be on how to manage the children when I am leading session. Not only that, I also learnt how to be more confident and how to express my expressions and feelings by controlling my voice and intonations when reading. 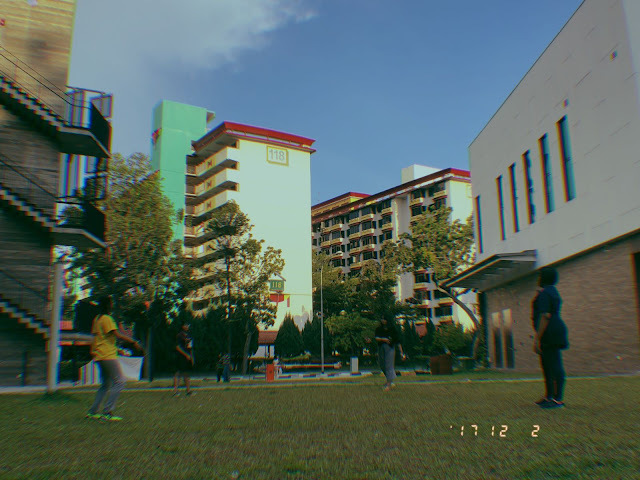 In the following semester, I would like to at least try to lead a session and apply everything that I have learnt during camp. Not only that, I would also like to get closer with the other volunteers be it the older ones or the newer ones and learn more from them. As for now, I am definitely looking forward to the following semester and am very excited to attend sessions again. Note to future self in Gift: Never stop learning because I am very sure there are still a lot of things that I have yet to learn and treasure every session with the children. :)"
Indeed, life is definitely a continuous learning process and we hope that the different generations of volunteers continue to mature and grow in their time in Gift. 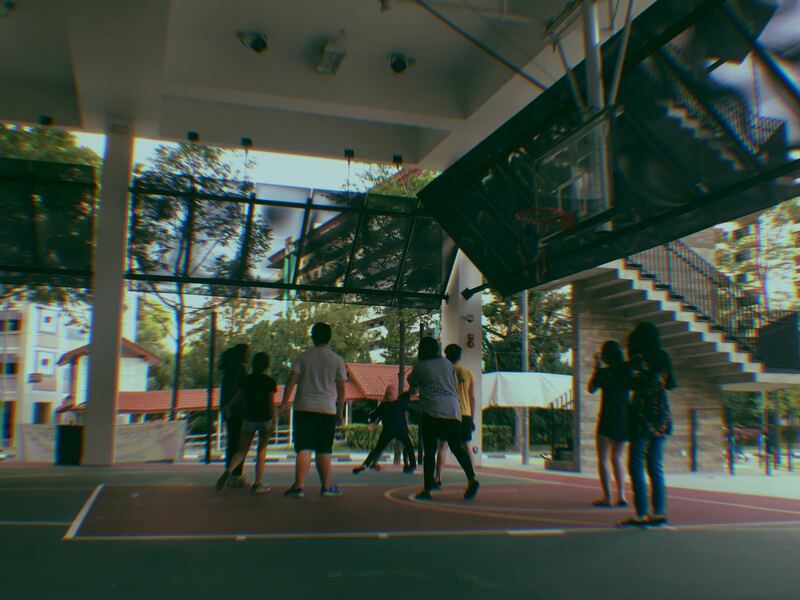 Feeling the overwhelming joy and fun from camp, we end this post on a heartening note, and we hope to see everyone again when callbacks and sessions commence. Till next time, take care, and rest well!